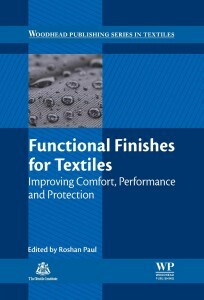 This book provides a comprehensive review of the most important fabric finishes in the textile industry. Functional finishes for textiles reviews the most important fabric finishes in the textile industry. It discusses finishes designed to improve the comfort and other properties of fabrics, as well as finishes which protect the fabric or the wearer. Each chapter reviews the role of a finish, the mechanisms and chemistry behind the finish, types of finish and their methods of application, application to particular textiles, testing and future trends. Describes finishes to improve comfort, performance, and protection of fabric or the wearer. Examines the mechanisms and chemistry behind different types of finishes and their methods of application, testing and future trends. Considers environmental issues concerning functional finishes. This book will be an excellent resource for both R&D managers in the textile industry and academic researchers. Dr. Roshan Paul is an alumnus of the Institute of Chemical Technology (ICT), Mumbai and holds Master and Doctorate degrees in Chemical Technology from the same institute. 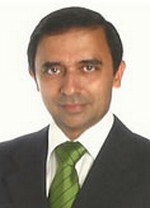 He has previously worked in the Spanish Research Council (CSIC), Barcelona, Clariant Chemicals, Mumbai and LEITAT Technological Center, Terrassa (Barcelona) before joining as the Head of European Research of the Function and Care Department at the Hohenstein Institute in Germany. He is a Chartered Colourist and a Fellow of the Society of Dyers and Colourists in the UK. He also serves as a Member of the Editorial Board of New Cloth Market.